Neuroinflammation has been implicated as an important factor in the neurodegenerative diseases, and multiple candidates with anti-inflammatory effects have been shown to be beneficial for the treatment of neurodegenerative diseases. Our previous study demonstrated that a novel synthetic phloroglucinol derivative from Lysidice rhodostegia roots (code name: Compound 21) exerted neuroprotective effect through suppressing neuroinflammation. The aim of this study was to reveal the underlying molecular mechanism. The results indicated that the anti-inflammatory effects of Compound 21 were mediated through suppression of nicotinamide adenine dinucleotide phosphate (NADPH) oxidase activation and the production of reactive oxygen species (ROS). Further study showed that this suppression on NADPH oxidase was mediated by inhibiting the translocation and activity of its subunit Rac1. It is well established that Rac1 activation is regulated by a variety of guanine nucleotide exchange factors (GEFs), so we tried to find out whether GEFs were involved in the anti-inflammatory effects of Compound 21. The results showed that Compound 21 treatment down-regulated the expression and activity of GEF Kalirin, thus modulating the activity of Rac1 GTPase. Altogether, our data suggested that Compound 21 exerted the anti-neuroinflammatory effect through suppressing Kalirin signaling pathways, decreasing Rac1-NADPH oxidase activation and the subsequent pro-inflammatory cytokine production. 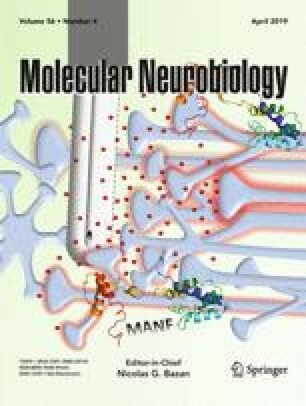 The present study provided solid evidence to support Compound 21 as a potential candidate of neuroinflammatory inhibitor. Moreover, our findings have shed new light on the role of Rac1 and GEF Kalirin in neuroinflammation, which provides potential targets for neuroinflammation-related diseases, such as neurodegenerative diseases. CXZ, HHY, LW, YW, and XQB performed the experiments. CXZ, XLW, and DZ designed the study, analyzed and interpreted data, and wrote the manuscript. This work was supported by National Natural Science Foundation of China (81773718, 81630097), and CAMS Innovation Fund for Medical Sciences (2016-I2M-3-011).